Mount Kilimanjaro is on the list of highest peaks on the planet, but it is a quite achievable destination for tourists who are in good physical shape and have had an adequate level of physical preparation. This is the highest peak of the African continent, with the height being 5.895 meters, which equals 19.341 feet. This mount consists of three volcanic cones, joined together. Two of these cones, the Mawenzi and Shira, are no longer active and are scientifically proven to be extinct, while the highest one, Kibo, is dormant and might erupt once. According to the seismic reports, the last activity of the volcano took place around 200 years ago, and the last eruption was 350,000 years ago. 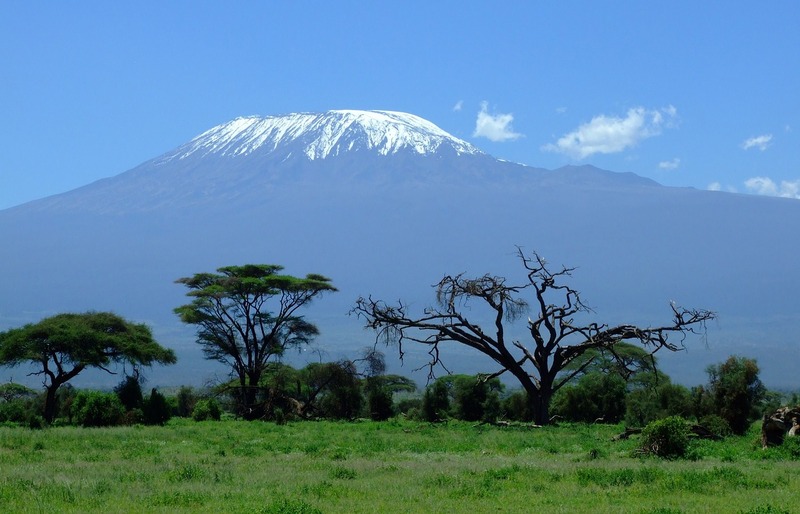 This mount is located in Tanzania and is on the list of the seven highest summits of the planet. There exists a curious tradition among those who summit Kilimanjaro. On the top, which is called the Uhuru Peak and is on the crater rim of the Kibo cone, there is a book, and everyone who reaches the top is welcome to leave their note about their trip. The book is constantly stored in a wooden box on the top and has already got numerous notes by different travelers there. This volcano is the heart of the Kilimanjaro National Park, which attracts numerous travelers to experience African safari and enjoy truly unforgettable landscapes.